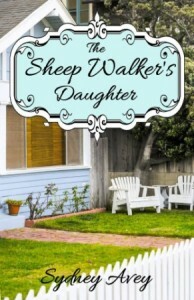 Today’s special guest is Delores Moraga Carter, the heroine from Sydney Avey’s The Sheep Walker’s Daughter. Delores, welcome to Inner Source. I’ve read your story, and I realize that you are a private individual. I hope you don’t mind sharing with your readers because I found your story very interesting. First of all, please tell our readers a little bit about your life. It is really hard for me to talk about myself. I was raised as an only child by a mother who did not talk to me very much. She never told me who my father was or where he came from. I always had the sense that something big was missing from my life. Turned out I was right about that! My mother worked at a job she loved. She didn’t have a lot of time for me. I married young, raised a daughter, became a widow, and then my mother died. Like my mother, I had a career in a day and age when most women didn’t work. It’s funny, after all these years I still talk about myself mainly in relation to my mother. It was her death that brought Father Mike into my life. He brought me out of a dark time and helped me open my heart to love, to the truth that had been hidden from me, and to a whole new future. 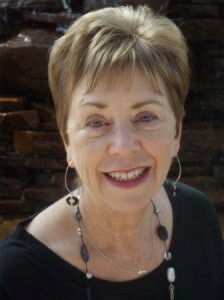 I think I connect with you so well because we both have had what I call “mother” issues, and we are both overcoming those issues with prayer and by leaning upon God for our understanding. I understood you so well throughout the story. Is there a scripture that you lean upon when you are in danger of dwelling on the past issues rather than celebrating the good things about your mother? Oh, so many scriptures; I have the same judgmental spirit my mother did. I have to constantly be in touch with my heart to root out bitterness. One of my favorite verses is Proverbs 3:5-6, Trust in the Lord with all your heart, and do not lean on your own understanding. In all your ways acknowledge him, and he will make straight your paths.” Spending my time trying to understand why my mother did hurtful things was my attempt to lean on my own understanding. When I began to focus on the qualities I inherited from my that equipped me to make my way in the world old hurts weren’t so important. I’ve come to understand that she did the best she could. She was hurt too, and in need of love that I couldn’t give her when she was alive. But like Father Mike says, it’s never too late to love. That brings me such peace. To that, Delores, I say, “Amen.” That is exactly what I learned. I didn’t like my mother very much until I focused on all that she sacrificed for me, and now I love and respect her dearly. You have a very rich heritage when you look at your family background, but you also have a heritage that your mother left to you that has nothing to do with the culture. What would you say is one of the most important things you inherited from your mother? How about from your father, even though you never met him? Oh I’d have to say my spirit of independence. It has a downside. It took me a long time to learn to depend on God for direction. But it gave me the strength and courage to raise a daughter while my husband served his country and leave a safe job to pursue the talent God gave me. While I don’t agree with the decisions my mother made to split up our family, I do admire her for the work she did and the way she conducted herself in a man’s world. It’s just unfortunate that she felt she had to make the choices she did to build the life she wanted. I often wonder how things would have turned out if she had come to faith earlier. Even though I never knew my father, my yearning for roots probably comes from him. Leora embraced rootlessness, but I never could. Apparently he found passion and purpose in the landscape that sustained his family for generations. My collages have always been my attempt to make sense of the past. That is probably something I inherit from my father, an orientation to the past. My daughter Valerie is more like her grandmother was, oriented toward the future. The era and setting of 1950’s California, has to be years away from what it is today. Your daughter is highly educated, and the turbulent Sixties are right around the corner. We have gone through many changes in the time between the ’50s and today. What would you say is most changed in that span of time? The Fifties were a time of hope and prosperity, but the Sixties brought an end to an age when our children felt safe and trusting. Now we’ve been through Vietnam, Iran, Iraq, Afghanistan, unwinnable wars in an increasingly global economy where our fortunes are tied with cultures we don’t understand. I guess I’d have to say that technology has given us access to information, but information isn’t knowledge and doesn’t lead to wisdom. Technology and communication have given us scientific and medical discoveries that have improved our lives in some areas but there seems to be more confusion over our common purpose than ever before. Romans 8:28 says, “And we know that all things work together for good to them that love God, to them who are the called according to his purpose.” When God says, “all things” I believe He means even the bad things that happen to us. Your mother made decisions that affected your life. Looking back, do you see the good that God brought to your life, though her decisions may or may not have been the right ones to make? You know, Father Mike knew a lot of my story, but he didn’t tell me. Instead, he helped me form the questions I needed to ask to get at the truth I needed to know. By doing that, he showed me how to trust God for answers to more important questions about identity, connections, love and forgiveness. I wanted to know why my mother kept secrets. Once I experienced love and purpose in life, the secrets mattered less. I came to understand that she had her reasons to keep the secrets that belonged to her, but that God could restore lost relationships in ways I could not imagine. I can’t blame my mother for choices I made to continue a generational pattern that isolated me. I can only thank God for the people He brought into my life, especially Father Mike who encouraged me to open my heart. Thank you, Delores. I know how hard it is for you to step out of your comfort zone and share with us, but I do believe that our readers will find your story exceptional. This week Inner Source belongs to Sydney. Be sure to check in on Wednesday and Friday, and leave a comment each day for your chance to win a copy of The Sheep Walker’s Daughter. The lucky reader will be able to choose the book format they prefer.